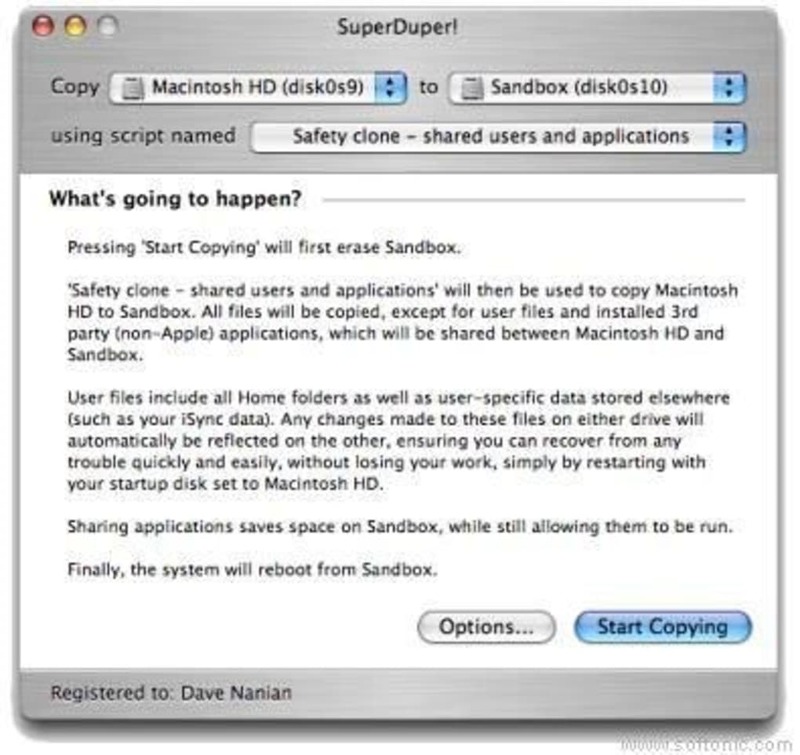 Making backups of your Mac should be an easy process, and SuperDuper! understands that perfectly. SuperDuper! creates exact clones of your Mac's hard drive so you have a full backup of all your data, including permissions, user profiles and private settings. SuperDuper! is very easy to use. Simply select the target and destination drives and start backing up. You can specify exactly which files you want to transfer and which you'd like to omit. The interface is very well designed and always features explanations for each action. You can also schedule backups so that SuperDuper! launches automatically. In the advanced options, you can even choose to save your backup as a disk image. SuperDuper! also features a smart backup utility which only scans for new elements or changes instead of having to backup everything all over again. There is very little to fault in SuperDuper! It's very efficient, works fast and gives you piece of mind in a few simple clicks. Maybe the interface could be given a bit of a facelift but the functionality can't be faulted. SuperDuper! 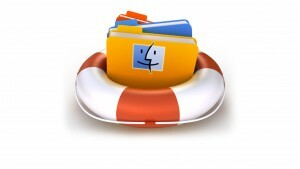 is one of the best backup and cloning tools you'll find for Mac. SuperDuper is the wildly acclaimed program that makes recovery painless, because it makes creating a fully bootable backup painless. Its incredibly clear, friendly interface is understandable, easy to use, and SuperDuper's built-in scheduler makes it trivial to back up automatically. Absolute life saver!. Clone your drives regularly with this. When your computer fails for whatever reason and you have to send it in for repair, you can take the cloned drive, boot it from another machine and continue working - without interruption whatsoever(!). Once you have your repaired machine back you copy the clone over and continue. The beauty is that you don't have to setup and reconfigure the new machine at all. You just boot and and everything is as it was on the original machine. It saved my life a couple of times already. Highly recommended, even if you have Time Machine. Works Perfectly! Cloned my HD onto a SSD and works perfectly. Works Perfectly! Cloned my HD onto a SSD and works perfectly. Used it once before to clone my origional drive and it worked. I saved old drive and its a good thing I did, my laptop slipped off table and ruined replacement HD. Slipped in old HD and back up in 10 Min. Purchased new SSD HD cloned from original again, slipped it in and works fine. THANKS! What do you think about SuperDuper!? Do you recommend it? Why? No thanks, continue to download SuperDuper!